The stand by function is a handy way to maximize your field tech’s efficiency while maintaining a firm grasp on your non-critical or not scheduled jobs. Jobs can be scheduled directly to stand by from the customer overview by clicking on the “+Add” button next to “Install/Service Calls” then ticking the “Put into stand by” box. Failed jobs with “Request rescheduling?” checked will be put into the stand by list as well as any job that is created but not saved to a technician’s schedule. 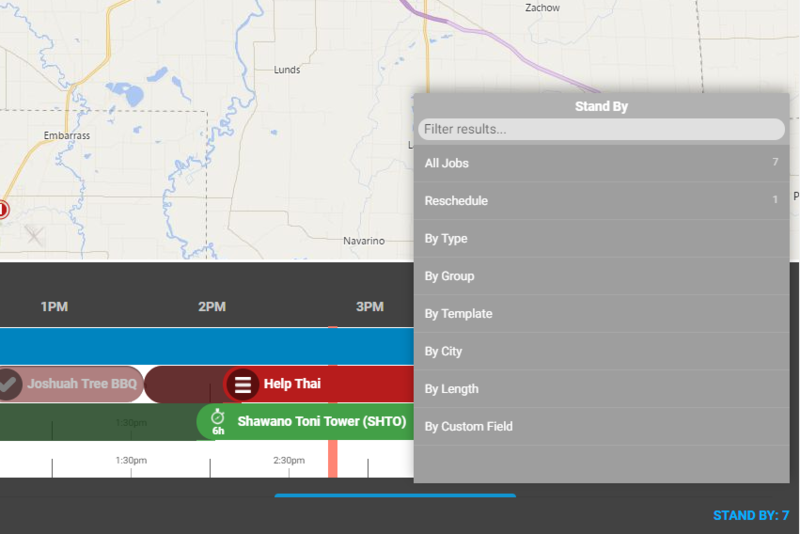 Once the stand by list is populated, your dispatcher can fill a technician’s day by plugging holes with jobs on their route with the proper duration. Or if a technician finishes their day early or there’s a cancellation, they can jump into the stand by list to see what jobs they can do nearby. Find it at the bottom right corner of the “Schedule Live View” and just click on the u-turn symbol to drop the job to the workbench to schedule. We’ve provided a number of different ways to view the standby list with filtering for each so it’s clean and easy to to find the jobs that fit your need at the time. You can see all the jobs at once with details, or break them out by type, template, city, length or even a custom field you come up with. Billing address no longer fail to geolocate on the Account Edit page. Fixed a case where customer service quantities would fail to update. Automatic emails no longer list an incorrect status change. 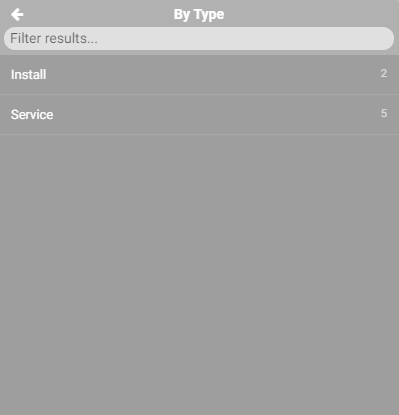 Removing all Service Custom Fields no longer throws an error. Fixed issue causing some backup settings not to save. Updated Feedback Form button to reset properly. BMU logs no longer cause the BMU Configuration Page to crash. Fixed an issue causing some tickets to not appear on the Parent Ticket selector. Fixed tax-zone requirement for non-customer accounts. MikroTik no longer submits probes twice to Slave BMUs. TowerCoverage no longer creates addresses with empty Countries. Changing your WebUser username while logged in no longer breaks permissions. 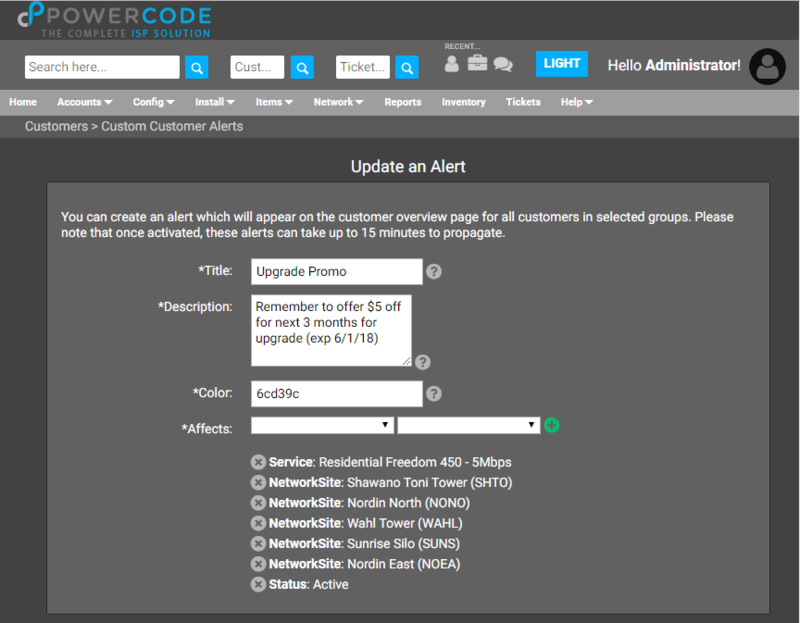 Fixed Customer Custom Alerts from displaying duplicates on the Custom Alert overview. Fixed saving the default responsible user in Customer Portal settings. Saving device types no longer remove autoprovision options from device configuration settings. Customer sales person now saves correctly when none is set. 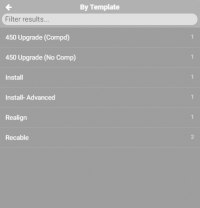 Several fixes for Saisei equipment loading and device mirroring. Added more information to the Add / Update Service Webhook. Added default Add Customer Wizard option for Invoice Preference. Added a “Return to Network Sites” button on the Individual Site Overview page. Added date range to the Tickets Opened and Closed report. 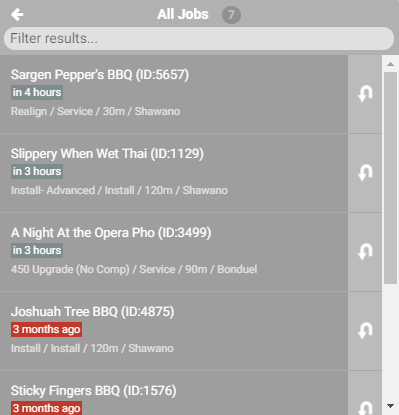 Added ability to view all completed jobs without job template restriction. Added customer group restrictions to “Monthly” service types. Added ability to ping equipment through the MikroTik. 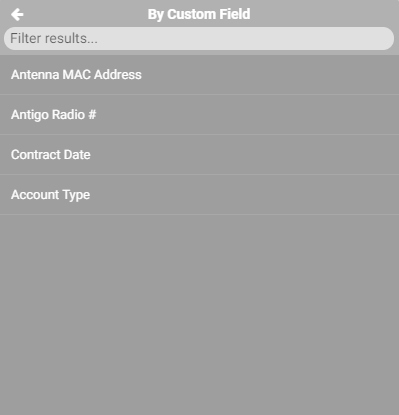 Added partial search in MAC Address field while adding equipment to a customer. Added slave functionality to Saisei. Updated Customer Portal font size accessibility. User Profile on the Customer Portal now displays the username. Linked the entire row on customer tickets in the Customer Portal. 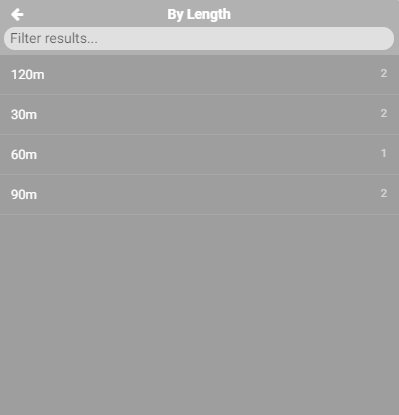 Updated Navigation to load only once per page load. System Event Log ACH batch link now redirects to the ACH landing page instead of automatically batching payments. Removed extra advanced wireless tab from 2.4ghz equipment. We’ve added a new way to better communicate with your team! Starting in Stable release 18.02.16 custom alerts can be displayed in the color of your choosing at the top of a customers page based on any number of criteria as seen here. There are countless reasons and ways to use these alerts. In our example above, we’re running a promotion offering five dollars off for the next three months for everyone who is on the Residential Freedom 450 plan who upgrades their service. We want to remind our first line employees of this so they can try to up-sell every eligible customer. Additionally, not all of our pop sites can support the higher speed services so we only want this to display for the customers who can actually receive this service. Luckily the custom alerts criteria supports this as shown below. Additionally, the custom alerts can be stacked if a customer meets the active alert’s criteria. The customer below is eligible for the promotion but is also down at the moment and won’t have power back to their network site until tomorrow. So anyone who opens that account can see right away not to spend any time troubleshooting as it’s a known issue. To take advantage of the Custom Customer Alerts from the “Accounts” tab select “Custom Customer Alerts” to get to the page below. Click on “Add New” and create your alert. Please reach out to our support department with any questions! 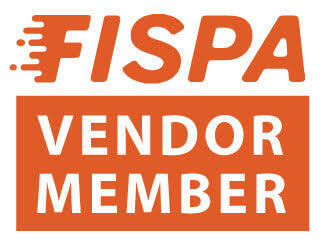 NEW Customer Portal is here! Our completely rebuilt customer portal is here! With it’s sleek new look, your choice of theme color and fully custom CSS field your customers are sure to be impressed. They can also update most of their account info directly from the portal and even upload attachments when they create or reply to a ticket. Now, all of this can be done from their phones or tablets as the entire portal is mobile friendly from bill paying to usage graphs. On the “Customer Portal Settings” page you have more control than ever to make sure you’re only allowing the functions and behaviors that you want. 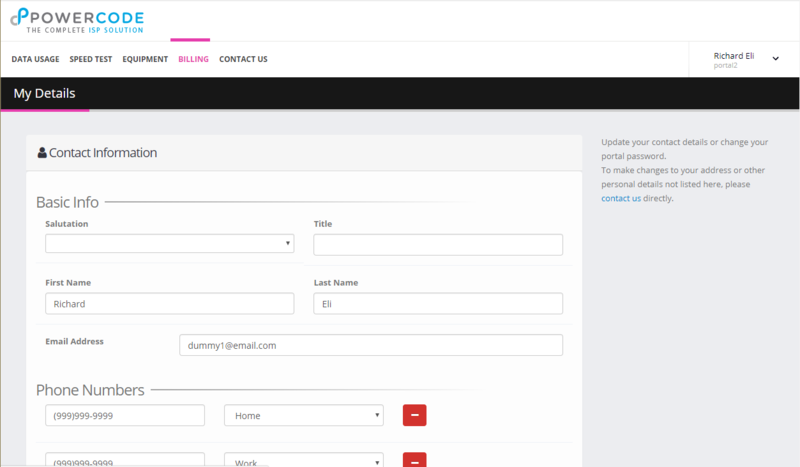 New Customer Portal with pink theme color. In addition to our desire to provide these features to your customers enhancing their experience with their ISP, this rebuild also opens the doors for exciting new possibilities. This is just the beginning of what we imagine the portal to be in the near future. If you have any ideas for functions you would like to see in the portal, please submit them to us via the feedback forum through the “Help” menu from your Powercode software. Some more extreme custom elements using the Custom CSS box. A more standard application of our Custom CSS ability. To use the new portal, you’ll need to first upgrade to Stable release 18.03.21. Follow the video below or from “Config” tab, under “System Configuration” select “System” and change the “Powercode Release Type” to “Beta” and “Powercode Customer Portal” to “New”. Then from the main page widget upgrade to Beta 18.04.04 and the new Customer Portal is yours! Restyled new and sleek for a modern web. Fully responsive for easy customer access. Ability to add Ticket Attachments through the Customer Portal Ticketing system. Custom Styling – the ability to add Custom CSS styling to the customer portal. Ability to fully modify contact information via the Customer Portal. Guaranteed Account Usage Graphs added to the the portal. 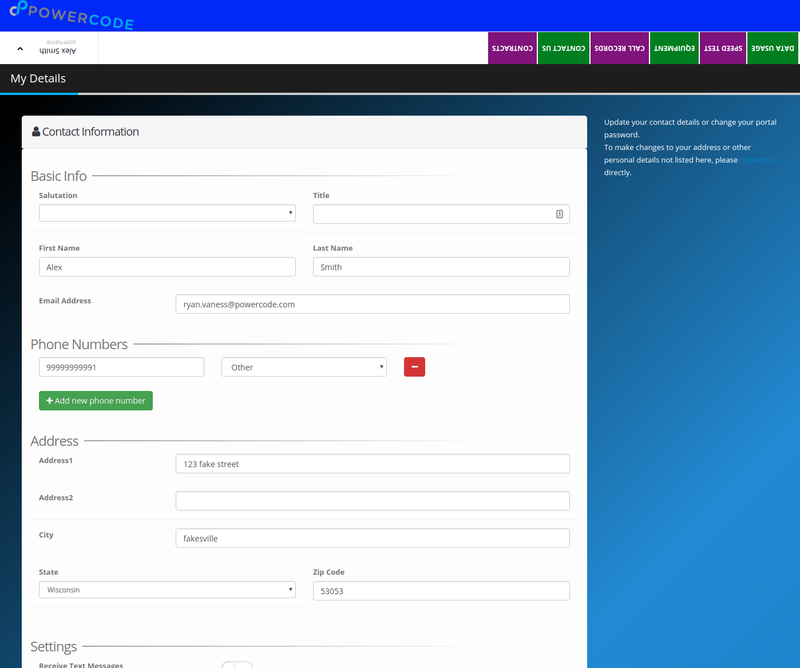 Reorganized Customer Portal Configuration page. Easily enable or disable what you want your customers to see! 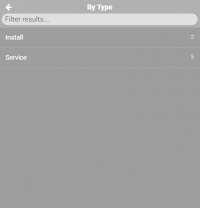 Service Areas – you can now specify which service areas you cover. Configure > System > Service Areas to now add which States / Countries you cover without having to see them all! Also allows support for international customers. Saisei BMU Integration – you can now integrate your Saisei BMU with Powercode. Added missing permissions to ticketing reports and the scheduling dashboard. Fixed wrapping of mass notification in Edge. Updated contact breadcrumb view to point to the Customer Account rather than the Primary Contact. Fixed adding a service dropdown from wrapping outside of container. 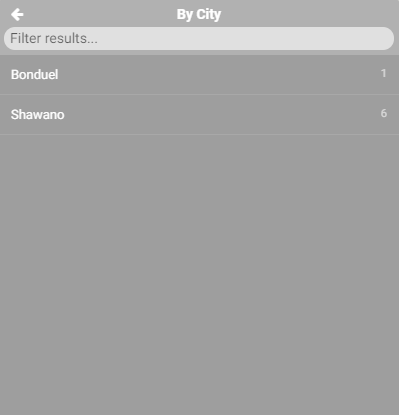 Fixed styling of lists in modals. Fixed call records showing up if the customer is guarantored. Updated guarantor submission to work properly in Safari. Fixed some Email variables not being replaced properly. System totals widget now properly checks for permissions. Fixed an issue where you couldn’t add more than 1 monthly service as a Scheduled Event. Custom Reports now show Ticket blank spaces correctly. Fixed an error being thrown when checking for SurgeMail email server status. Customers with custom statuses now activate properly. Scheduled Job reminder now checks the configuration correctly before being triggered. Fixed customer tags group selection on Mass SMS from causing them to fail. 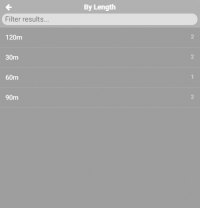 Changed quantity validation for one-time charges to properly validate numbers less than 1. Fixed an issue where changing the system header would check for an unrelated permission. Portal password resets will no longer fail to submit due to an incorrect security token. Updated duplex color option to push correct value to MailXStream. Fixed an issue where jobs with large amounts of completion fields would fail to complete. 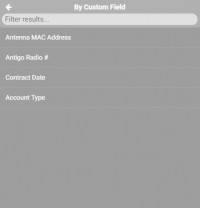 Saving contacts on mobile no longer removes their customer portal access. Added Auto Activation requires full payment config check to customer portal payments. 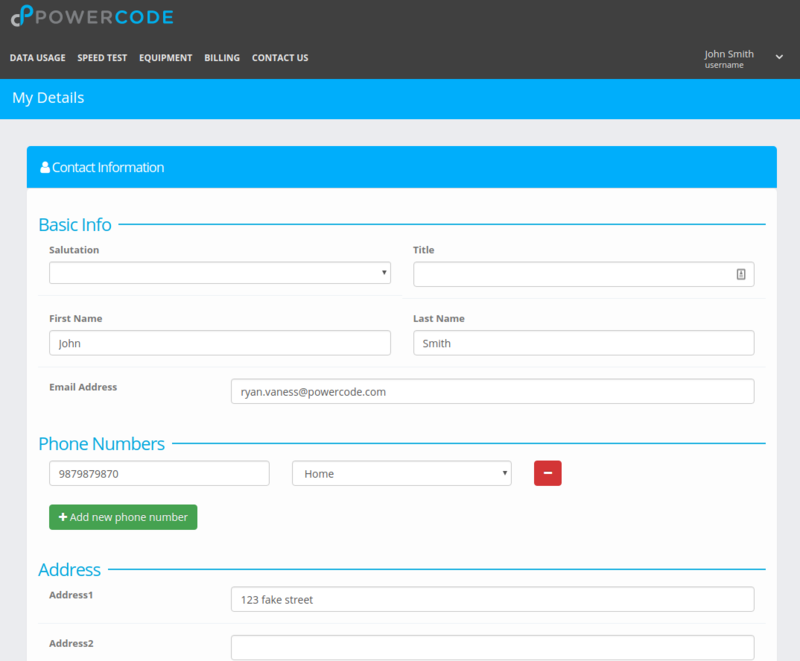 Added source code editor into Powercode. Added job notes to completion data on the Customer Overview. Added WebHook for Twilio replies. Added port to associated equipment on the Network Site Overview. Added ACH option to set the effective date for ACH Batch Exports. Added ability to set the CustomerID of a New Account when adding through the API, given the ID is not already taken. Added ability to delete a contact while editing a contact. Added id, up speed, down speed to the services tab on the Customer Overview. Added up speed, down speed to the services list. Added the ability to perform actions on mirrored BMU address ranges. Added device type to equipment tables on the Overview and Equipment tab. Editing Delinquency Shut Off Days now records to the System Event Log. Individual Network Site overview now matches equipment details. Reverted Bank Name label to Name to avoid confusion. Removed unused dhcp dns3 input field. Send Email text editor bar no longer wraps. Submit button made default action for all Powercode forms. Updated various forms to ensure Submit/Save is default action. Updated default days for multi-day schedule to be the next 8 calendar days.